Rumors have been all around about the next LG flagship, the LG G3 which is still far away but now we have rumors of the device which is not as far away from launch as the G3, that is the LG G Pro 2 successor to the LG Optimus G Pro. 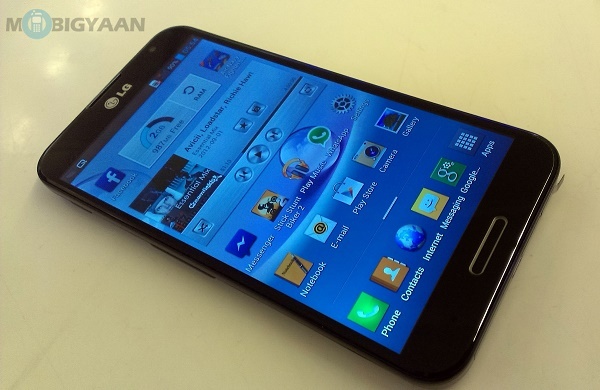 The LG Optimus G Pro was launched last year in April and if the report from the Korean site Naver is to be believed then its successor G Pro 2 will be unveiled in March. We have no details about the device but we are sure it will have all the raw power and a huge display similar to the Optimus G Pro along with software improvements. It’ll be interesting to see what LG does with the G Pro 2 as it’ll give us a hint at how good the LG G3 will be. We are pretty sure we’ll get a few more leaks about the LG G Pro 2 before its eventual release so stay tuned as we’ll bring you as they come. You can also check out our LG Optimus G Pro review in case you haven’t.